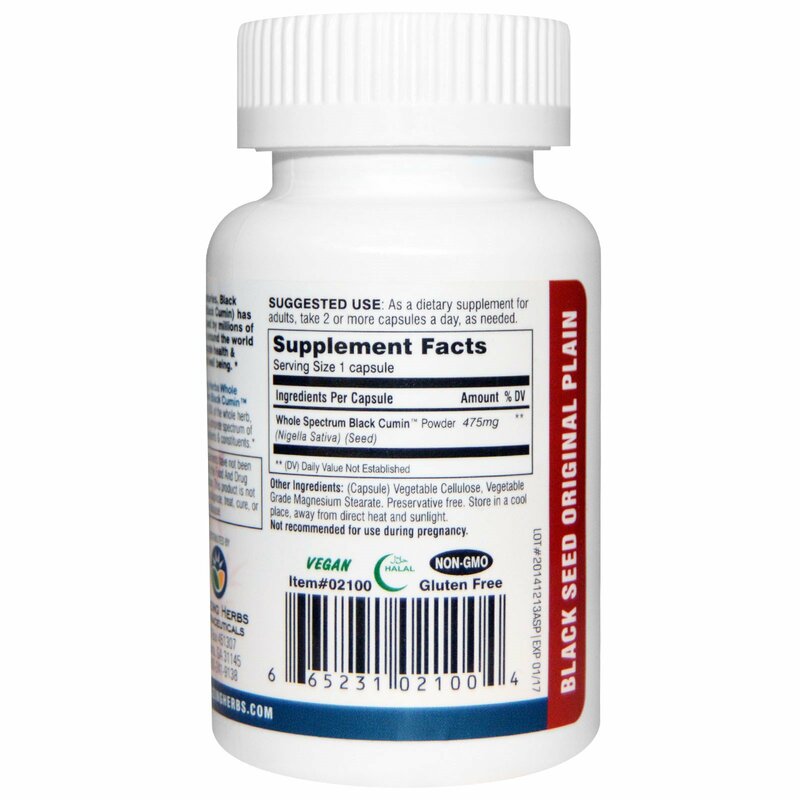 For Centuries, Black Seed (Black Cumin) has been used by millions of people around the world to promote health & general well being. 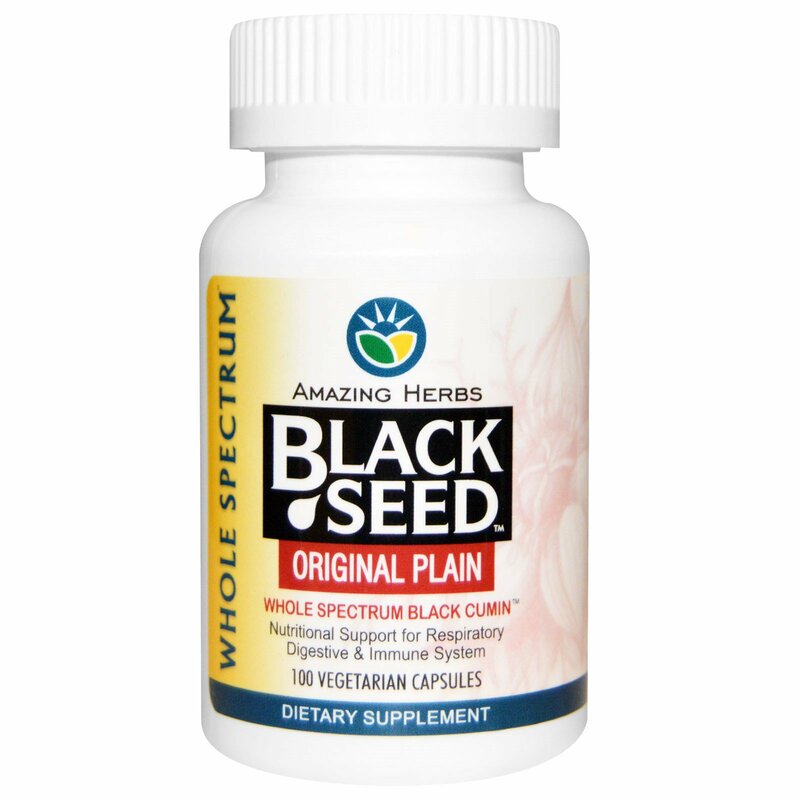 Amazing herbs whole spectrum black cumin contains 100% of the whole herb providing a complete spectrum of active ingredients & constituents. As a dietary supplement for adults, take 1-2 capsules a day, as needed. (Capsule) vegetable cellulose, vegetable grade magnesium stearate. Preservative free. Store in a cool, dry place, away from direct heat and sunlight.